This is where the poem begins: the Word Kingdom. When I was about twenty, I remember sitting in my room one night, annoyed with something my housemates were up to, and a bit bored with whatever my other friends were doing. It was one of those evening[s] where you just feel aimless, off-balance, agitated. There was something gnawing at me, but I didn’t know what. Then, out of nowhere, a procession of sirens passed by my house. I mean there were fire trucks, police cars, a few ambulances, lots and lots of noise—sudden, alarming noise; then, nothing. It was dead silent for maybe a second or two before the sirens picked up again. This time they seemed to come from every direction, as though they were surrounding the house. But the pitch was off, all wobbly, a weird vibrato, like electronics trying to run on nearly dead batteries. The sound wasn’t coming from the sirens at all. It was an animal sound. It was every dog in the neighborhood at once attempting to imitate the noise. It was the word kingdom. None of them could do it quite right, but damn were they going for it. It felt simultaneously sad and triumphant. It was the exact moment I decided to be a writer. I’m not writing the noise of the sirens, nor am I writing the noise of the dogs. I hope my poems take root in the silence after the two have sounded: mimetic chatter and babble paradoxically from intellection to imagination. 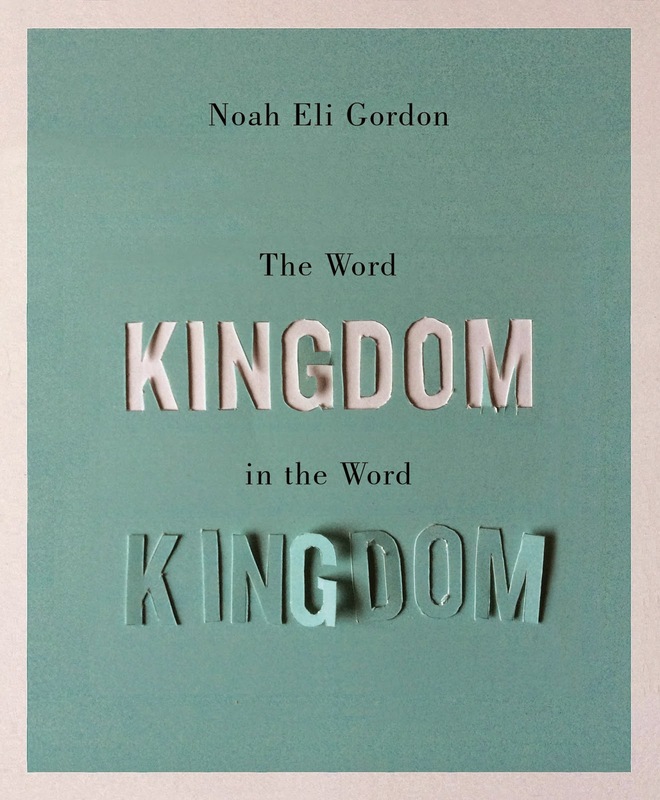 The word kingdom in the Word Kingdom. The collection reads as though Gordon, over the years, has been utilizing short lyrics as a way to sketch out a series of commentaries on contemporary poetry, and this is simply the accumulation of pieces that could easily have been written as short essays. These are notes on form, structure and subject, playing off a level of cultural expectation in poetry, with the occasional playful jab or exploration at elements of his contemporary field, as a number of his titles suggest, such as “A THEORY OF THE NOVEL,” “FOR EXPRESSION,” “QUESTIONS FOR FURTHER STUDY,” “AGAINST ERASURE,” “ARS POETICA,” “ANOTHER COMMENT ON THE TEXT” or the three poems titled “BEST AMERICAN EXPERIMENTAL POETRY.” I find it curious that Gordon has chosen to explore ideas of poetry through the form of the poem (much in the way that Stephen Brockwell and Peter Norman once collaborated in a conversation on the form of the sonnet through the form of the sonnet, or Mark Truscott’s short prose pieces on poetic brevity). His is a call to action, attention and an engagement with form over fashion, such as in the poem “EIGHT MEDITATIONS ON ENORMITY, PETRIFACTION, AND WORK,” that includes: “But wasn’t there much left to learn from the old ways? / Hadn’t we heard a literal train of thought approaching from / the past?” In a field of poetic discourse that is too often far too unpoetic and staid, Gordon’s notes on form are a welcome relief. Concise articulation wasn’t what we’d wanted, exactly. by an expansionist idea about the world being purely internalized? and simplistic acquiescence to wallpaper wallpaper wallpaper. at a pineapple and disappear. The poem isn’t interested in helping you.